Jerome David Salinger, the man the New York Times once described as having “elevated privacy to an art form,” passed away nine years ago this week. At the time of his death, despite not having published a book in almost fifty years, Salinger was still a (literary) household name. 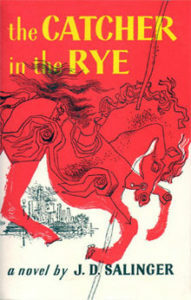 There were a number of bizarre but undeniably fascinating reasons for this, chief among them his almost mythic sustained reclusiveness and the enduring popularity of his now-canonical 1951 debut, The Catcher in the Rye (which has now sold somewhere in the region of 70 million copies worldwide). There was also his early romance with Eugene O’Neill’s daughter, Oona (who ghosted him for Charlie Chaplin); the intense legal dispute with biographer Ian Hamilton, which culminated in Salinger suing Random House; a relationship with eighteen-year-old journalist Joyce Maynard when he was fifty-three; two revealing memoirs published within a year of each other at the close of the 90s—one by Maynard and another by Salinger’s daughter, Margaret; and the ongoing speculation that his aberrant behavior stemmed from his WWII service and the resultant, untreated, PTSD. Those, however, are just just the scandals and headlines. What, you may ask, of the writing? What about the book many consider to be the greatest American novel of the post-war era? Or the dozen New Yorker stories that have influenced scores of beloved writers, from Richard Yates to John Green? 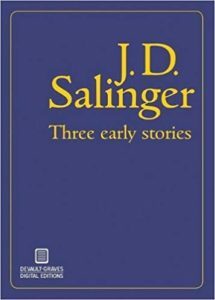 Well, below you’ll find a selection of the first reviews of each of Salinger’s published books, from the all-powerful Catcher to Three Early Stories (the somewhat controversial publication of which, in 2014, probably would have displeased the author). I was surrounded by phonies…They were coming in the goddam window. “Holden’s story is told in Holden’s own strange, wonderful language by J. D. Salinger in an unusually brilliant novel… Holden is bewildered, lonely, ludicrous and pitiful. His troubles, his failings are not of his own making but of a world that is out of joint. There is nothing wrong with him that a little understanding and affection, preferably from his parents, couldn’t have set right. Though confused and unsure of himself, like most 16-year-olds, he is observant and perceptive and filled with a certain wisdom. His minor delinquencies seem minor indeed when contrasted with adult delinquencies with which he is confronted. If I were God, I certainly wouldn’t want people to love me sentimentally. It’s too unreliable. “J. D. Salinger’s writing is original, first rate, serious and beautiful. Here are nine of his stories, and one further reason that they are so interesting, and so powerful seen all together, is that they are paradoxes. From the outside, they are often very funny: inside, they are about heartbreak, and convey it; they can do this because they are pure. 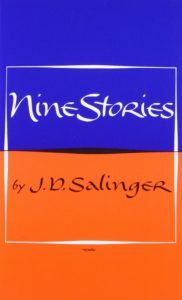 The whole nine have an enchanting ease about them, a deceptively loose-appearing texture, a freshness and liveliness which might bid fair to disarm the reader, as he begins, say, the remarkable ‘For Esme with Love and Squalor.’ Nothing could be further from what Mr. Salinger is about to do to him. The stories concern children a good deal of the time, but they are God’s children. Mr. Salinger’s work deals with innocence, and starts with innocence: from there it can penetrate a full range of relationships, follow the spirit’s private adventure, inquire into grave problems gravely—into life and death and human vulnerability and into the occasional mystical experience where age does not, after a point, any longer apply. Mr. Salinger’s world—urban, suburban, family, mostly of the Eastern seaboard—is never a clue to the way he will treat it: he seems to write without preconception of shackling things. He has the equipment of a born writer to begin with—his sensitive eye, his incredibly good ear, and something I can think of no word for but grace. There is not a trace of sentimentality about his work, although it is full of children that are bound to be adored. He pronounces no judgements, he is simply gifted with having them, and with having them passionately. The material of these stories is quite different, again, from his subject. Death, war, the flaws in human relationships, the crazy inability to make plain to others what is most transparent and plain to ourselves and nearest our hearts; the lack or loss of a way to offer our passionate feeling belief, in their full generosity; the ruthless cruelty of conventional social judgements and behavior; the persistent longing—reaching sometimes to fantasy—to return to some state of purity and grace; these subjects lie somewhere near the core of J. D. Salinger’s work. They all pertain to the lack of something in the world, and it might he said that what Mr. Salinger has written about so far is the absence of love. Owing to that absence comes the spoilation of innocence, or else the triumph in death of innocence over the outrage and corruption that lie in wait for it. The feeling may arise from these warm, uneven stories (no writer worth his salt is even, or can be) that Mr. Salinger has never, here, directly touched upon what he has the most to say about: love. Love averts itself in pity, laughter, or a gesture or vision of finality possibly too easy or simple in stories that are neither easy nor simple in any degree. Mr. Salinger is a very serious artist, and it is likely that what he has to say will find many forms as time goes by—interesting forms, too. His novel, The Catcher in the Rye, was good and extremely moving, although—for this reader—all its virtues can be had in a short story by the same author, where they are somehow more at home. “When I first came to New York during the fall of 1956, I went to a party on Bank Street which I remember with particular clarity for a number of reasons, not the least of them my surprise that no one present wished William Knowland were running for President. (I had only been in New York a few days, and the notion that Democrats might be people one met at parties had not yet violated what must have been, in retrospect, my almost impenetrable western innocence.) There were a couple of girls who ‘did something interesting’ for Mademoiselle and there were several rather tweedy graduate students from Princeton, one of whom intimated that he had a direct wire to the PMLA, baby; there was, as well, a stunningly predictable Sarah Lawrence girl who tried to engage me in a discussion of J.D. Salinger’s relationship to Zen. When I seemed unresponsive, she lapsed into language she thought I might comprehend: Salinger was, she declared, the single person in the world capable of understanding her. Five years work certain subtle changes. I have become downright blasé about Democrats at parties; that particular Sarah Lawrence girl found that she could, after all be understood well enough for everyday purposes by someone else, an electronics engineer; and nobody, not even on Bank Street, thinks much any more about Adlai Stevenson for President. The idea that J.D. Salinger is a kind of middle-class American guru, however, has somehow resisted those gently abrasive sands. Among the reasonably literate young and young in heart, he is surely the most read and reread writer in America today, exerting a power over his readers which is in some ways extra-literary. Those readers expect him to teach them something, something that has nothing at all to do with fiction. To anyone who has ever felt over-exposed to the world, to anyone who has ever harbored hatred in his or her heart toward droppers of names, writers of papers on Flaubert, toward eaters of frogs’ legs, all of this has a certain seductive lure; there is a kind of lulling charm in being assured in that dazzling Salinger prose, that one’s raw nerves, one’s urban hangover, one’s very horridness, is really not horridness at all but instead a kind of dark night of the soul; there is something very attractive about being told that one finds enlightenment or peace by something as eminently within the realm of the possible as tolerance toward television writers and section men, that one can find the peace which passeth understanding simply by looking for Christ in one’s date for the Yale game. 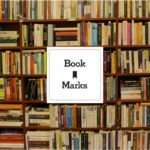 “Rarely if ever in literary history has a handful of stories aroused so much discussion, controversy, praise, denunciation, mystification and interpretation. There will be more Glass stories, Mr. Salinger says. Perhaps, when there are, a more coherent pattern will be apparent and certain mysteries and ambiguities will be explained. In the meantime, we can all worry about Seymour, the most saintly of the Glass children, the one who committed suicide during a Florida vacation in 1948. In the first of these two long stories Buddy Glass, a college teacher and writer, writes about his serio-comic adventures on Seymour’s wedding day. Except for some excerpts from his diary, Seymour remains off stage; but these excerpts show that Seymour was marrying a girl whose mind he scorned and Seymour was already a little crazy. ‘Raise High the Roof Beam, Carpenters’ is written with a dazzling, almost showy, technical brilliance. Its dialogue is expert, its satirical comedy amusing, its style fluid and graceful. There can be no question that J. D. Salinger is a finished literary craftsman. What he sets out to do he does with consummate skill. But whether there is more than meets the eye in his stories, as is constantly suggested, is a moot point. Could there be less? ‘Raise High the Roof Beam, Carpenters’ is a good story according to conventional requirements. Its people are alive. It moves. It amuses. But ‘Seymour—An Introduction’ is only a story by the most generous definition of the word. Buddy Glass is its author also, but this time he is recording a monologue in which he thinks about Seymour, talks about Seymour and almost nominates Seymour for beautification. We learn from this turgid and static discourse something about Seymour’s eccentric approach to games and clothes as a boy, something about his career as an infant prodigy (he was a college professor at nineteen), something about his love for Chinese and Japanese poetry and a good deal about his proficiency as a poet. Buddy Glass talks about Seymour at wearisome length and almost as tediously about himself. But Buddy’s whimsy, Buddy’s arch humor and Buddy’s viscous prose all contribute to make ‘Seymour—An Introduction’ intolerably dull. It lacks the charm, humor and surface brilliance which distinguish most of Mr. Salinger’s stories. 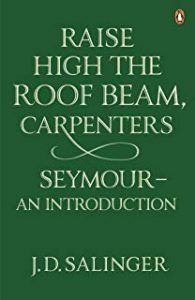 Buddy Glass wrote much more effectively in ‘Zooey’ and in ‘Raise High the Roof Beam, Carpenters.’ In this pretentious piece he rambles, digresses, pontificates and fails completely to make Seymour Glass seem a believable human being. He put down the book when I spoke to him, recognizing my mood, and looked up at me, smiling. He was a gentleman; a twelve year old gentleman, a gentleman all his life. “The allure of Salinger continues with the pirated publication of three unpublished stories that became available online last week. A good deal of mystery sounds them. Salinger had prohibited the publication of ‘The Ocean Full of Bowling Balls’ until 2060, so getting a glimpse of it now has literary scholars and fans of Salinger leaning forward in their seats. 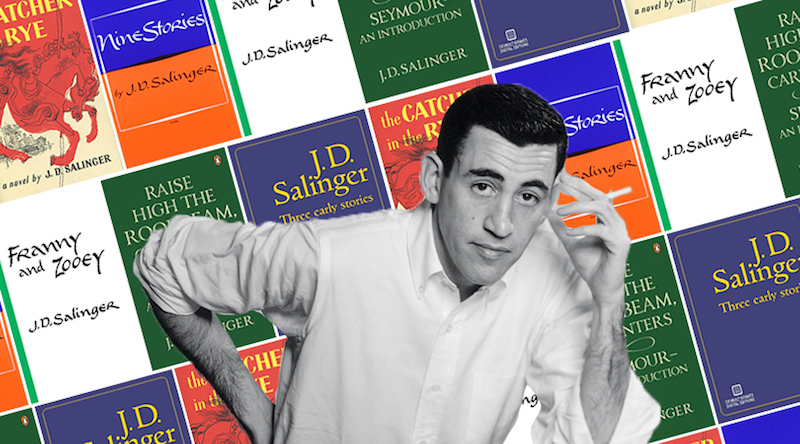 Salinger fans will find a good deal to interest them in all of these works. 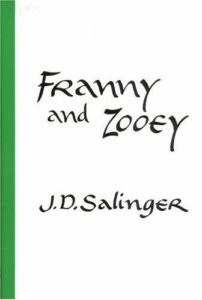 ‘The Ocean full of Bowling Balls’ is quite fine, and it would not have seemed out of place next to ‘A Perfect Day for Bannafish’ or ‘Teddy.’ The familiar upper-middle class world of Salinger is immediately recognisable. Set on Cape Cod, the story reads like a prequel to The Catcher in the Rye, and at its centre is a letter from nobody less than Holden Caulfield himself … One has to wonder why Salinger changed his mind about the publication of this story, which had been accepted by Harper’s Bazaar. It’s a vivid piece of writing focused on the last day in the life of Vincent’s brother, Kenneth—who becomes Allie in Catcher.